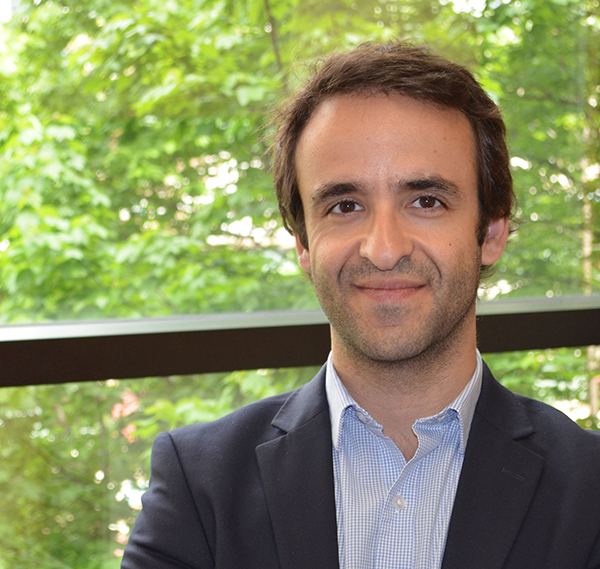 Luis Saraiva, Monell’s newest adjunct faculty member, practically personifies the Center’s multidisciplinary spirit. His expertise extends across an impressive array of scientific fields, including microbiology, neurophysiology, animal behavior, neurobiology, and genetics. Now he brings skills from each of these areas to Monell. Interestingly, while his diverse background makes Saraiva an impressive olfactory researcher, he didn’t originally plan to study the sense of smell. Saraiva received his Masters degree in Biology from the University of Évora in his native Portugal. He then attended the University of Cologne in Germany for his PhD, intending to study evolution and development. However, he unexpectedly fell in love with neurobiology during a required laboratory rotation, and instead chose to concentrate on this new topic, ultimately writing his doctoral dissertation on the molecular neurobiology of olfaction in fish, under the supervision of Sigrun Korsching. An image from one of Saraiva’s publications with Korsching. 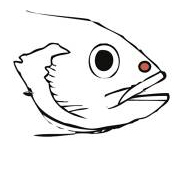 The orange circle marks the location of the fish’s olfactory epithelium, which contains its smell detector cells. After receiving his PhD in Genetics, Saraiva traveled to Seattle for a postdoctoral position with Linda Buck, the sensory biologist who co-shared the 2004 Nobel Prize for the discovery of the mammalian olfactory receptor family. In Buck’s busy lab, Saraiva quickly found himself involved in many projects, including work on understanding the brain mechanisms that underlie gender differences in olfactory-mediated behaviors and how these differences change with age. Saraiva next traveled to the UK, to the Wellcome Genome Campus in Cambridge, where he spent several years working with Darren Logan and other researchers at the Sanger Institute and the EMBL-European Bioinformatics Institute. “I had recently become interested in RNA-sequencing, or RNA-seq, which was an emerging technology at the time. Darren and John Marioni had a job opening and a project proposal to use RNA-seq to study olfaction. So I joined the project and learned the technique. It was a very productive time,” Saraiva recalls. MORE ABOUT RNA-SEQ: RNA-seq is a powerful technique that detects the presence and quantity of RNA molecules in a given cell or tissue. For many studies, RNA-seq is a more advanced and useful technology than, say, DNA sequencing. That’s because cells use RNA to create the proteins they need to function properly. The cell derives RNA from DNA, its core genetic material, and then uses the RNA to create proteins. In this way, RNA is a step closer to functional proteins than DNA, which makes RNA-seq more precise for many scientific studies. In 2015, Saraiva moved to his current position as a Principal Investigator (equivalent to an Assistant Professor) at Sidra Medical and Research Center in Qatar, where he remains fascinated by the sense of smell. And he strives to continue expanding his already broad perspective. In turn, Saraiva’s wide-ranging experience and technical skill, especially in the field of transcriptomics (the study of all RNA molecules in a sample), make him a sought-after partner at Monell. Saraiva is already collaborating with Associate Member Joel Mainland on a project to identify the genes that cause congenital anosmia. Saraiva hopes to collaborate with many other Monell faculty members as well, including Johannes Reisert, Michael Tordoff, and Graeme Lowe.